Conveyancing lawyers Christchurch for all your conveyance needs. Experienced solicitor in property law. FREE review of auction packs and all prices guaranteed. When it comes to buying and selling real estate, after 28 years in practice, we can help you with anything, be it your first home purchase, a subsequent purchase, an investment property purchase or a commercial property. We even have many years experience in rent to buy transactions which most lawyers shy away from. No, you are not seeing things! We offer a service where we will review an auction pack for you and provide a written report for you at NO COST. Obviously we hope you will remember our service and come back to us to assist with your purchase but if you are unsuccessful at auction there is no fee. We can guide you through the minefield of dealing with your Kiwisaver provider and the three stage application process for a HomeStart grant. We take the stress out of this process and we work closely with your bank or mortgage advisor to assist with your finance application process. If property investing is your game then look no further for highly qualified advice on investment property purchases and getting the structure and tax effectiveness of your investment right. We understand investing and work closely with your accountant to ensure the best outcomes for you. We believe in a fair fee for a job well done. We do not record time or base our costs on expensive hourly rates like most conveyancing lawyers. Once we quote you a fee for your sale or purchase it is guaranteed not to change, come what may. We have an experienced team who provide real value for money. We do not profess to be the cheapest because we believe that you get what you pay for! Equally, when you deal with us, you will not pay big city corporate law firm fees. Call us for a binding quote for your purchase. The thing we find clients hate most is legal jargon! When you deal with us, we do not speak in legalese, we speak your language, Plain English! All parts of the sale or purchase journey will be clearly explained to you in clear, concise language and we pride ourselves in taking the time to make sure you understand. Conveyancing – What Do All Those Confusing Terms Mean? 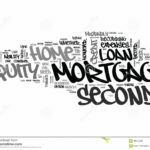 Posted in Common Legal Terms, Confusing Legal Terms, Conveyancing, Conveyancing Lawyer | Comments Off on Conveyancing – What Do All Those Confusing Terms Mean? Posted in Conveyancing, Conveyancing Lawyer | Comments Off on Want Guaranteed Legal Fees?